More items with this same design are available in our store, go take a look. 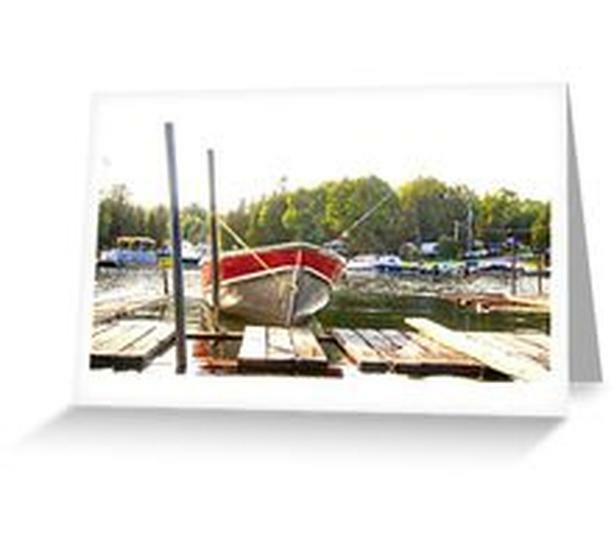 Boats at Whiskey Bay Harbour, St Joseph Island, northern Ontario Canada. Popular destination location, with easy access to the Great Lakes water system. Photo by noted photographer and artist, Bryan Smith. His unique work has a special quality, that makes it popular among many. More of his fine work is featured in our store, available for your enjoyment on a wide variety of gift items.